Fresh, sweet and tangy, kiwi's are packed with Vitamin C. The easiest way to eat a kiwifruit is to simply cut it in half, and scoop out the flesh with a spoon. Tip: The kiwi is also a natural meat tenderizer and cooks have used it in savoury and sweet recipes. Cut a kiwi in half or mash the flesh, rub it over meat, and leave to stand for at least 15-30 minutes. This product traveled 9200 km to reach our warehouse. Storage Tip: Store unripe kiwis at room temperature out of direct sunlight. To speed up ripening store fruit in a paper bag at room temperature with a banana or an apple. Ripe kiwis will keep in the fridge for several weeks. Kiwi puree freezes well and keeps for up to four months. Preparation Tip: The entire kiwi is edible. Washing well helps to remove some of the fuzz, but most people prefer to remove the skin and eat the inner flesh. Did you know... There are about 1400 seeds in a kiwi and this is where most of the fibre, vitamins and minerals are found. 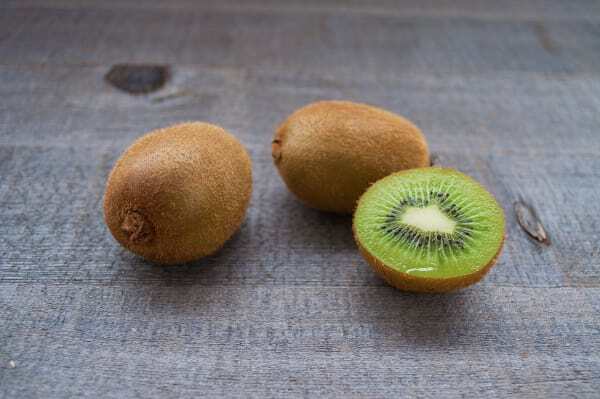 Health Information: Kiwis are very high in vitamin C, and are a good source of potassium, folate, fibre, magnesium and vitamin E.
The current growing season means that best of these items are grown organically in Italy right now. Due to weather conditions and general availability, this week's selection is coming from multiple farms within the area.